A unique registration is required for each computer. 90% of the People Who Attended This Nonprofit Webinar Rated It As Great to Excellent! Picking up the phone is one of the most effective ways to engage with your supporters and fundraisers. But often organizations neglect the telephone because of a fear of being annoying or getting rejected. This webinar will give you the tools you need to make calls your supporters WANT to receive. You’ll learn the practicalities you need to consider before you start, and gain everything you need to start making effective fundraising and thank you calls today. By integrating the phone through every part of your fundraising program you’ll raise more for less. Why and When to use the telephone - learn how adding a simple phone call to your existing strategies can boost your results. How to get opt-ins from new supporters - ensuring that a growing list of supporters have said YES to receiving your calls. How to understand the different segments of your database for phone calls. How to prioritize your calls to maximize return on investment. 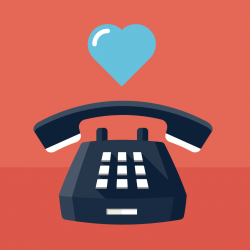 How to influence donors and personalize the call to maximize your response rates. How to make calls that DON’T ask for money, but still raise more for your organization. How to ensure your team is ready to handle calls from supporters that phone YOU! Generic call outline and script to help get you started. "Making phone calls to donors can be intimidating but Simon Scriver broke it down into bit-sized elements which can be used by any sized development department."